To start with – every city has an area where is the main concentration of bars and pubs. Vilnius is not an exception. Therefore it’s symbolic, nighlife in Vilnius starts in Vilnius street. You must be aware – this is not England. We don’t go out straight after work. If you really want to find what you want, don’t expect a wild party at 10pm. It’s just dinner time here. Before 11pm locals tend to grab few beers in a pub, the real party usually starts after midnight. If you came here on a week day, there are few spots where you will find most people. 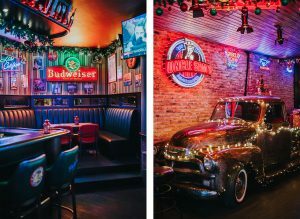 In Vilnius street you will find a pub, called La Birra, which is open every day at least until 4am, so we are sure, at least once on your trip, you will end up here. Another popular pub is just around the corner, called Piano Man (there literally is a piano somewhere inside, but I bet, none of the men there can play). For more classy experience, jump into Bardakas bar, just across the street from La Birra. 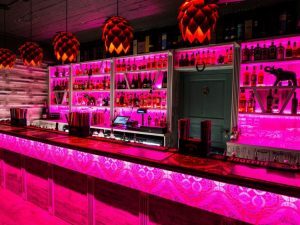 You will get a great cocktail there and also will be able to show your 8-ball pool skills. If you want to sit down and smoke some Shisha, 10 Reasons is definitely the place. To watch a game, there are quite a few sports bars around (unfortunately football is not our religion, so most of them don’t play sound, unless it’s a basketball game). To be short – Republic no. 4, Piano Man, Uncle Sams, Hooters, Stars and legends. After the game, you will definitely want to get some shots before you can dance. There’s a pub crawl, which starts in bar Switch at 9:30pm every Friday and Saturday. That’s the best way to meet other travelers, especially if you are traveling alone. If you want to hang around by yourself, Pataja lounge is a place, where you can find all – a club and a pub in a terrace all year long. There are plenty of clubs in Vilnius, we can’t name them all. But we will try to pick at least one for each taste. Not all of them are open on week days, but Friday and Saturday nights are crazy there! 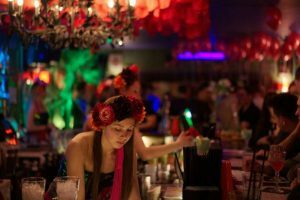 If you like to dance, latino clubs Mojitos – Casa De Cuba and Pabo Latino with their salsa and baciata rythms are waiting for you. For techno music fans – Opium and Kablys are the places, which you want to visit. 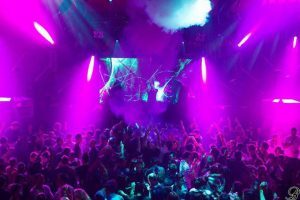 Apart from these places, specializing in a specific music, there are plenty of night clubs such as Pantera, Cocainn or Loftas, where you will find all kinds of music and people. And if you get hungry any time at night – Amatininkai (local food restaurant, open until 3am, weekends – 5am), Jammi Kebabs (24/7) and McDonalds (24/7), Cili Pizza (24/7) are not that far from here.